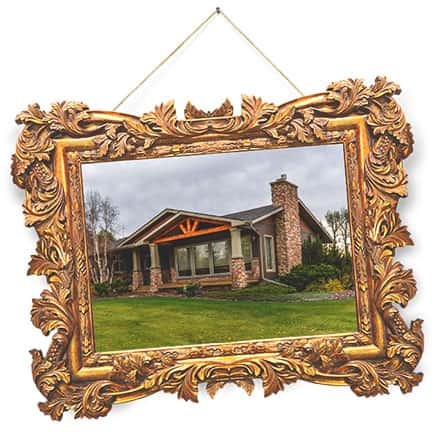 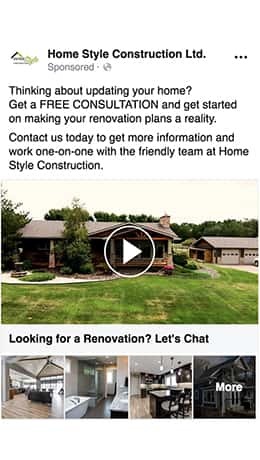 Home Style Construction came to SOS hoping to receive more brand awareness and gain clients through online marketing. 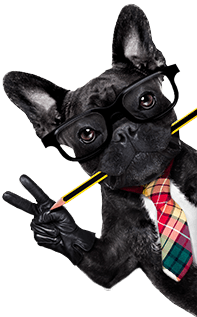 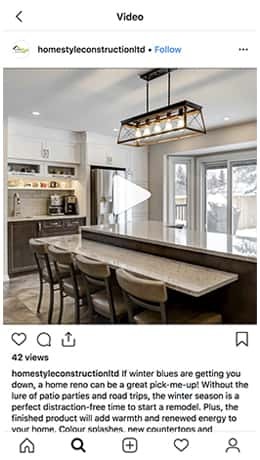 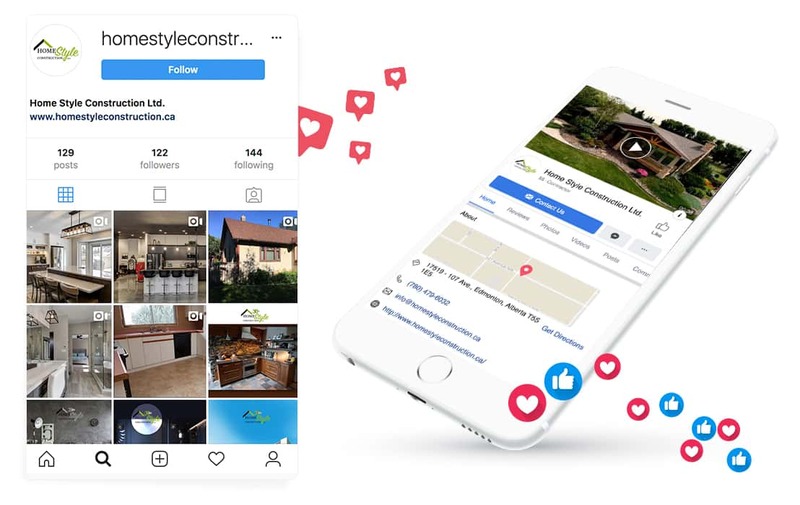 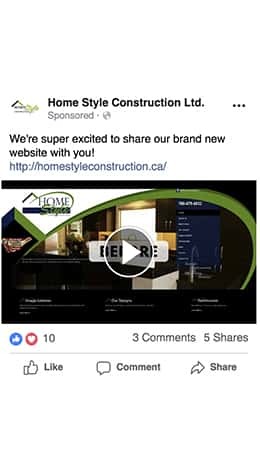 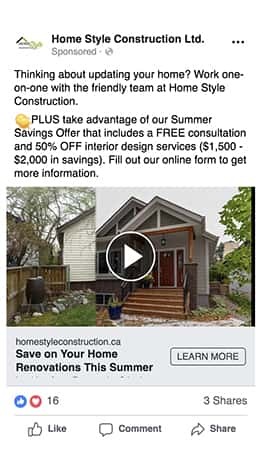 610 new Facebook page "likes"
We assisted with Home Style Construction by creating engaging video ads for their renovation products and remarketing their services to people who have engaged with them on social media and have previously been to their website. 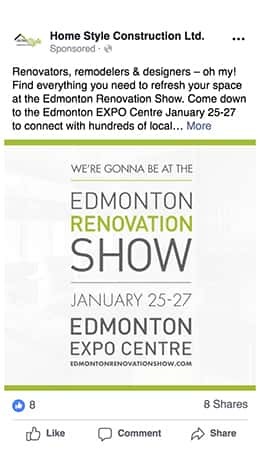 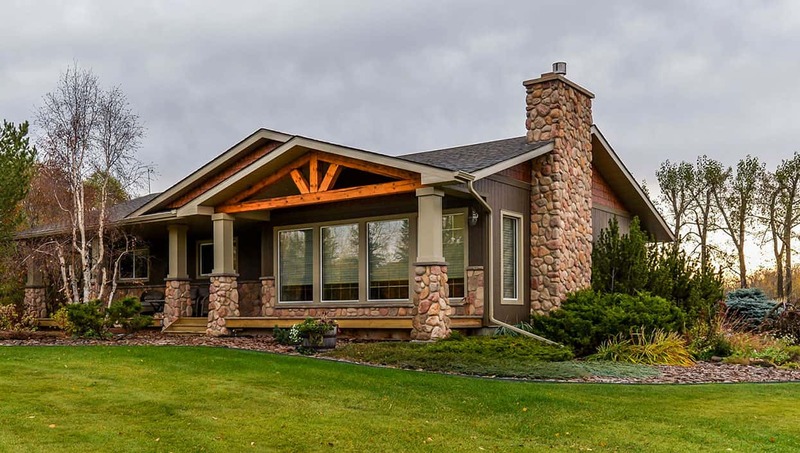 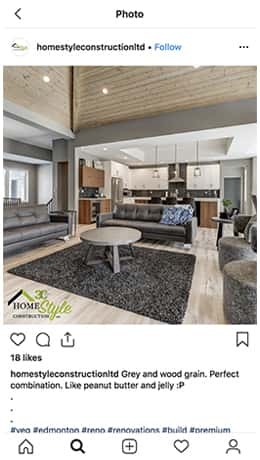 Home Style construction is a home renovation and custom home builder that has served the Edmonton area for over 30 years.